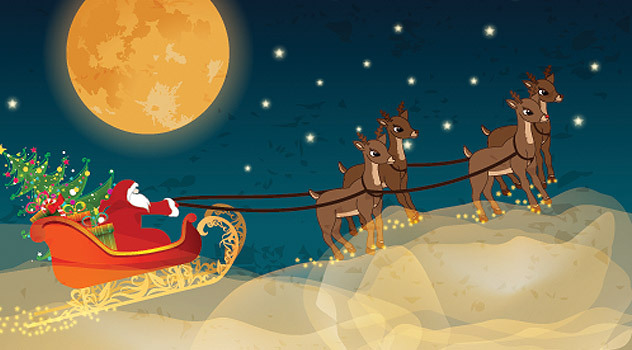 Who were Santa’s first elves? How did they make the magic come alive? 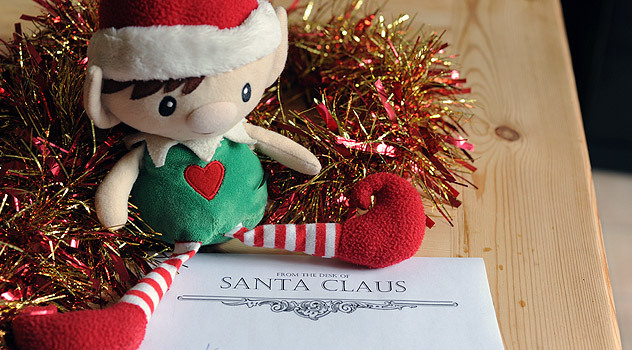 Most businesses start small and Santa’s magical workshop is no exception. 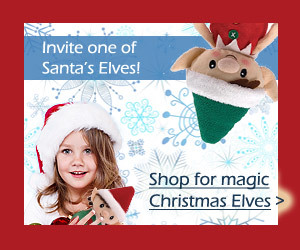 It is said that Santa initially employed just six elves. The elves are intelligent and highly skilled. 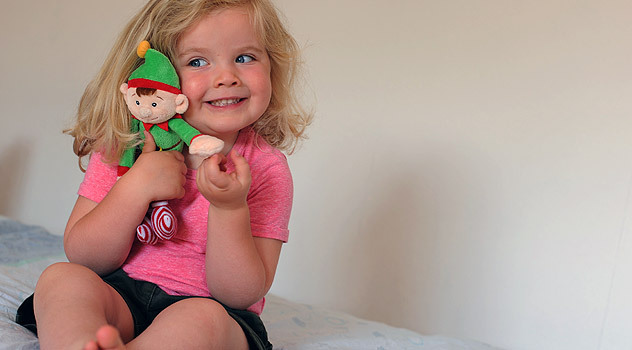 They help Santa to design and make toys and deal with the millions of requests children send Santa every year. Without the Elves, Santa Claus and Mrs Claus will not have been able to make their Christmas dream reality. Hundreds of years later the original elves still work with Santa at the North Pole. 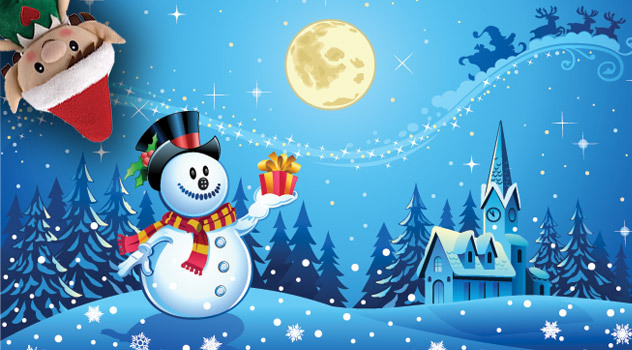 They make the magic of Christmas come alive every year for children around the world. Alabaster is quite a character. 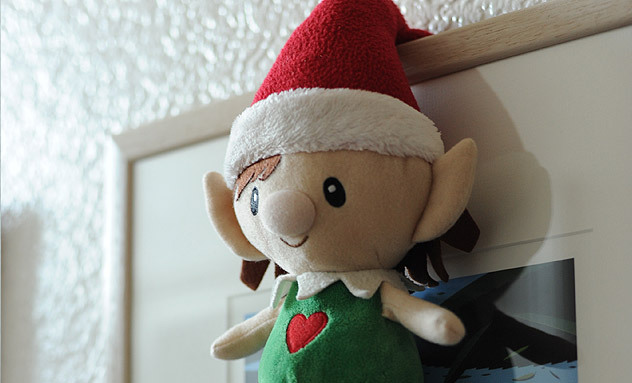 Although all elves are highly intelligent, he’s the only elf at the North Pole with two university degrees. From Cambridge that is. Friendly and good hearted, he is entrusted with one of the most important jobs. 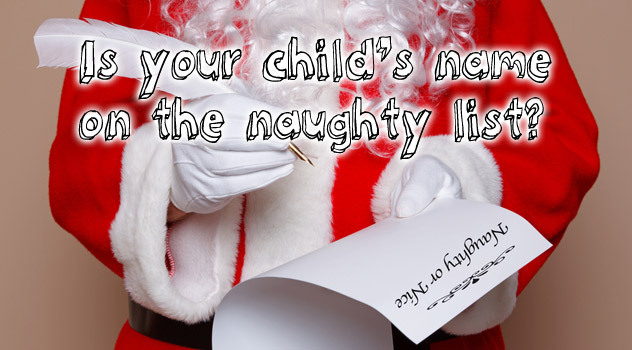 He is the Administrator of the “Naughty or Nice List”, so you definitely want to be on his side. 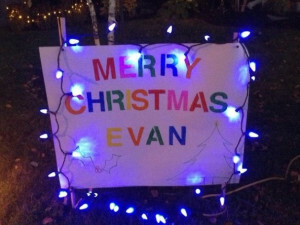 He has developed an elaborate computer system that updates each child’s Naughty or Nice rating five times a minute, all year around. Thanks to Alabaster, Santa has the latest updates on everyone and can adjust the toy production and deliveries right to the last minute. 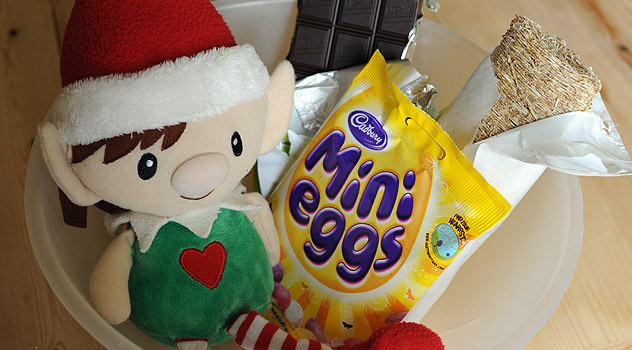 You better be good for goodness sake! A skilled engineer and the inventor of Santa’s magic toy-making machine. Bushy came from a family that lived in the forest way up North. Like most forest creatures, Bushy became skilled in the art of woodcarving at an early age. By the time he was a boy of 103, he had carved millions of wooden trains, cars, dinosaurs and other toys. 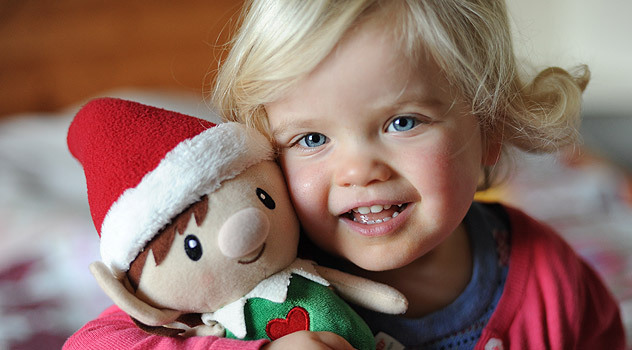 Bushy is now the head Toy Maker for Santa and keeps on developing his famous toy making machine to meet children’s endless demand for new toys. Pepper is the protector of Santa’s magic world, and has worked his way up to being Head of Elf Security. 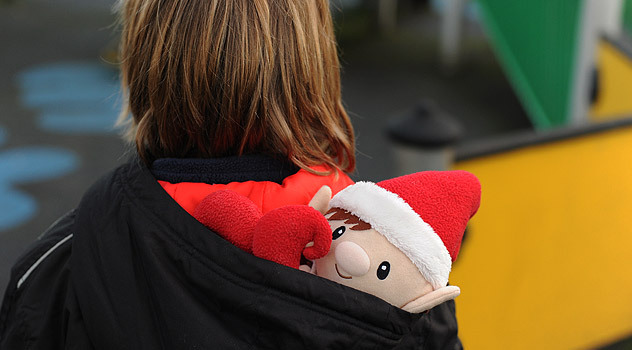 He is entrusted with the important job of watching out for the well-being and safety of Santa Claus and Mrs Claus. He is also in charge of guarding the secret location of Santa’s Village and magic workshop. Billions of children, not to mention adults, would love know where it is, so he has his work cut out. Pepper likes to model his outfits after that of the military and patrols around the Village with a chest full of Elf Medals and a makeshift armour made of kitchen pots and pans. He owns a one-of-a-kind bubble gum firing machine gun and no-one would dare mess with him. Shinny is the oldest resident of the North Pole Village – even older than Santa. He’s no taller than a four year old, skinny and as wrinkled as an old apple. Under his rugged appearance and cranky manners, he has a good heart and is totally devoted to Santa. 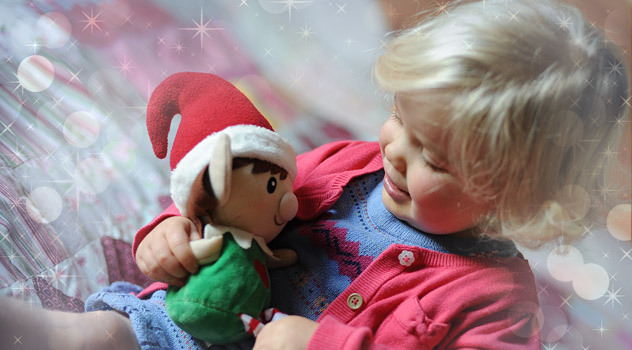 Shinny is the leader of the all the Elves and Santa’s oldest and most trusted friend. In fact, he co-founded the Magic Workshop with him! Everyone puts up with his moodiness because without the old Shinny Upatree, there wouldn’t be a Village, Workshop, Christmas and maybe not even Santa. Mary is said to originate from a far away Asian province. She is tiny with dark hair and skin and awfully pretty. 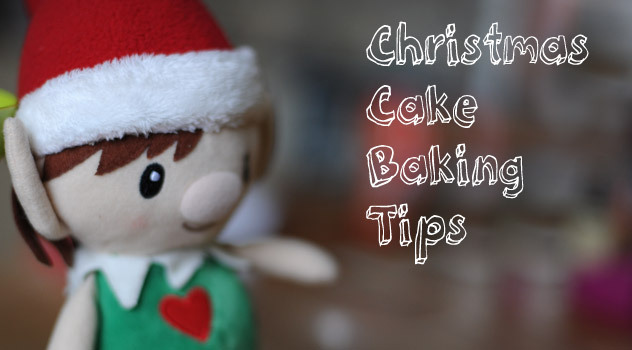 Head of sweet treats, Mary is the most marvellous of cooks and is the top assistant to Mrs. Claus in the kitchen. 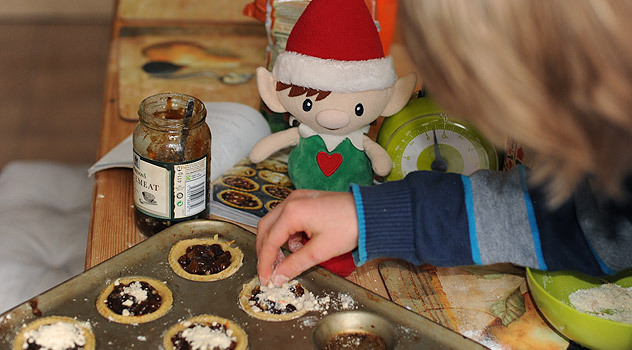 Our Christmas Elf, Elfin adores her and learned most of his recipes from her.If Santa has ever brought you chocolates and other sweet treats Sugarplum Mary will be behind the original recipe. She also teaches Kung Fu to the young elves every Friday afternoon. One of the few old native Nordic Elves, Wunorse is in his middle years, around 600 years old. Akin to his Viking ancestors he is tall and strong with long blonde hair that he wears in thick braids. He wears dozens of tiny jingle bells sewn onto his clothes, so the enchanting sound of magic Christmas bells follows him everywhere. In charge of the reindeer, Wunorse is also a true inventor and craftsman, and he always carries with him a pencil and notepad for doodling, sketching and dreaming up new inventions. It was him who long ago created Santa’s magic sleigh. 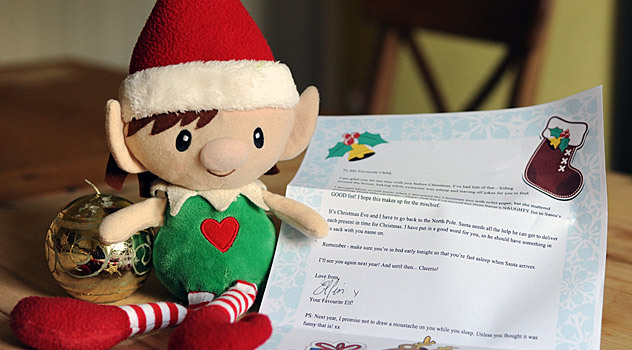 Don’t forget about Buzzlewitz…he’s the elf who collects children’s Christmas lists and delivers them to Santa. 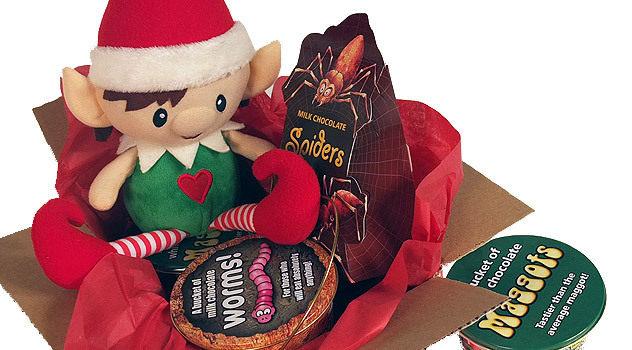 Leave your list out on 11/11 at 11 pm and don’t forget to leave a cookie for him…snickerdoodles are his favorite. He will leave a mint and an acorn in return. Do you Santa know an elf named Missy? But she is not an elf on the shelf. Braden has not done much .But I gave him a present. Great. Hope he behaves this year . 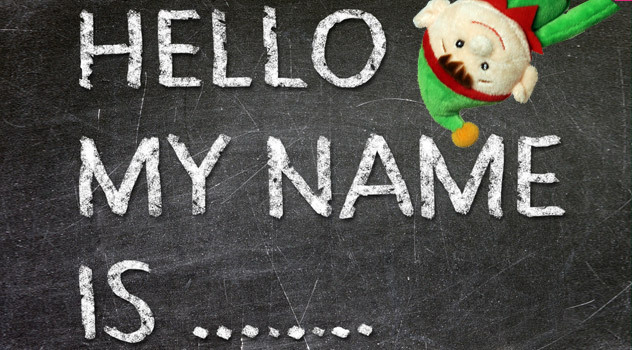 Hi elf I just want to know your guys name because I need to get it and I want you to tell santa that what I want for christmas is that ok with you guys. And I will tell you now. I want an mini ipad for christmas this year because I don”t one everyone else did. Hope you get want you want! Hello Maz, If you use the suggestions above you should be able to get the creative juices flowing! Get the kids involved to they often have more imagination than grown ups. Let us know what you come up with! I am in need of an elf!! I am struggling getting my presents and decorating the house. 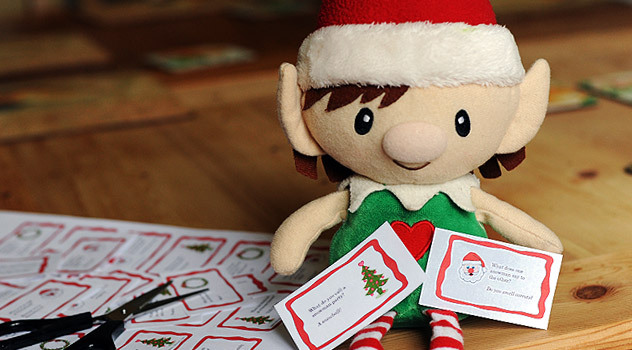 My favorite names for our Elf are Evergreen, Snowball (although it reminds me of a name you would give a cat!) Snowflake is a little bit better,pinecone and mistletoe. The problem is my son doesn’t like any of them and we can’t agree on one. 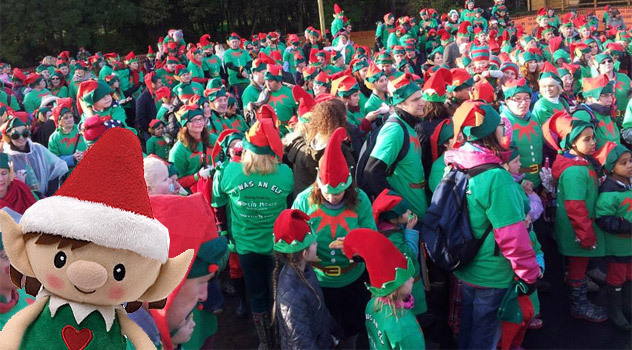 Elffie is gonna end up with no name again this year! Maybe it should just be called Elf! 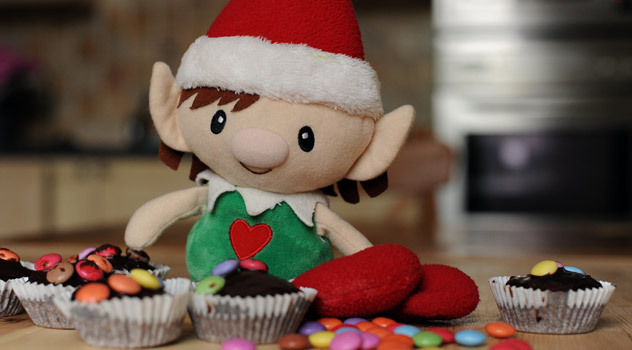 hey elfin i wonder if you could say hi to my elf on the shelf sugar cookie. Of course, will pass the message for you! Hi santa its me addy im the who saw rudolphs nose when i was 3 years old i just wanted to say i wanted to say that i want a pink kidicom for xmas! Will pass the message onto Santa . 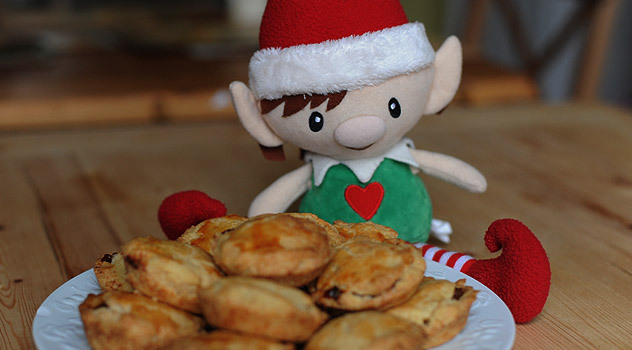 Hi elf, my girl elf eat my mum’s cookies. Her name is Roxy. I can’t wait for Christmas. I am Lily and age 7. What a naughty elf Roxy is. Hope you have lots of fun with her before Christmas! Bowjangle. And his nickname is Ty. We love him along w his sister Sparkles and our pet reindeer whose name is Buddy and lastly his brothers name is Alfie. I have 1 at my moms, 1 at my daddys and another w the pet reindeer Buddy at my grandma and pops house. I love them all bc they do such funny things! Great names. Glad to see you’re having fun with your elves! Hi Hazel, I hope you have been good. I will pass your request onto Santa!